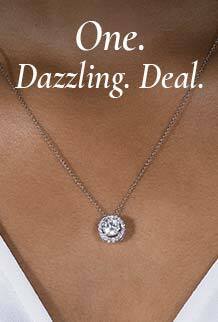 Research Triangle Park, North Carolina, (October 30, 2018) — Charles & Colvard, Ltd. (Nasdaq: CTHR), the original and leading worldwide source of created moissanite, today announced the availability of Charles & Colvard moissanite jewelry on key marketplaces in Australia, including eBay, Amazon and Catch. The Company’s expansion through these popular Australian channels continues a strategic effort to build brand and product awareness targeting the $75 billion global online fine & fashion jewelry market1. E-commerce in Australia continues to grow rapidly. In 2017, Australians spent a total of $1.95 billion per month on online shopping alone, with Australia’s online retail market experiencing a 6.0% annual growth rate2. “A key piece of our flexible and agile growth strategy, international marketplaces, such as eBay, Amazon and Catch, allow us to reach and service global customers in the ways we know they prefer to shop,” Ms. Miglucci concluded. Earlier this month, Charles & Colvard announced the launch of four new Amazon marketplaces in Europe, including Spain, Italy, France and Germany.